Artwork by Sheila Klein at Hollywood/Highland Station. Titled Underground Girl, the artwork frames the station interior as an undulating, organic and sensual space. 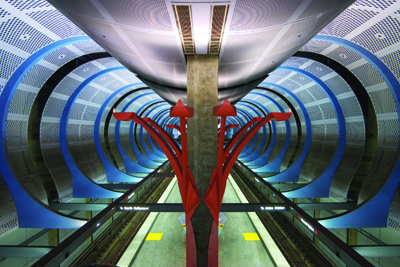 Metro Art Tours begin at this station on the first Thursday and first Saturday of each month.